Enjoy a “You Are There” experience of Luke’s Gospel. Hear it shared as the Early Church heard it—as stories handed down from memory through an “oral tradition” enhanced with music. 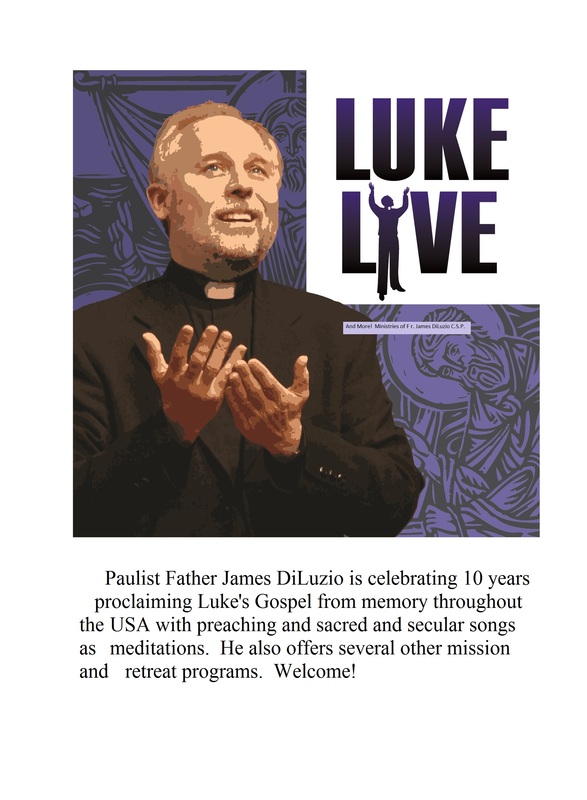 Join Paulist Father James DiLuzio in your sanctuary for three evenings of scripture, drama, hymns, fellowship & more! Experience the Gospel of Luke as members of the Early Church experienced it — internalized, personalized, shared! The ancient custom of memorizing beloved texts enables faith to Come Alive in ways that simply reading the scriptures do not. As a priest and actor, Fr. James DiLuzio developed this Mission/ Retreat to inspire, to entertain and to exemplify how we may more fully personalize and celebrate scripture in our lives. 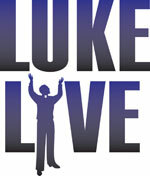 Luke Live! fosters collaboration among parish staffs and parishioners to intrigue non-observant relatives, friends and co-workers to the many advantages of conversing with our biblical heritage and becoming part of a local parish. All tools are multi-faith sensitive and respectful of participants’ thoughts and feelings.